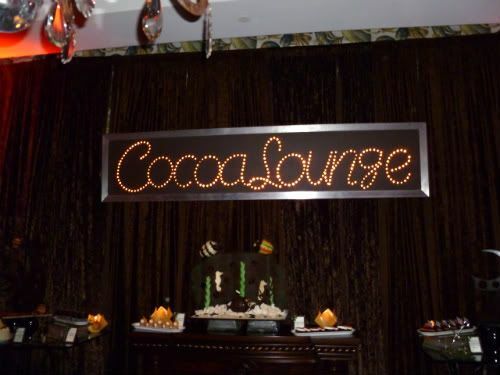 The 4th annual Cocoa Lounge opened last night at the Island Hotel in Newport Beach. Admission is $24 per person for all-you-can-eat chocolate desserts. If you dine in the restaurant and order an entree, your admission is only $12. The lounge is open From Feb 3-March 3 on Tuesday-Saturday evenings, 6-10PM. Please click here to see full coverage of the event from last year on our partner site, Griffin Eats OC. Holiday packages are offered through Dec. 30, 2011, with the exception of the New Year’s Eve packages. Based on availability; double occupancy; excludes tax and gratuity. For reservations, please call toll-free, 1-888-321-4752. Chef Bill Bracken will feature a three-course Thanksgiving feast on Thursday, Nov. 24, 11 a.m. to 7 p.m., that includes savory appetizers and carved turkey with all the trimmings brought to the table, and Pastry Chef Michael Owens’ irresistible dessert buffet. Menu highlights include: Seared Rare Ahi Tuna with Asian Soba Noodle Salad, Chef Bracken’s signature Macaroni and Cheese, Slow Roasted Tom Turkey with Chestnut-Cranberry Bread Pudding, and Peppered Beef Tenderloin. $78 adults; $39 kids under 12; excludes tax and gratuity. Also open for Thanksgiving breakfast from 7 to 11 a.m., Palm Terrace will serve a buffet with favorites like Smoked Salmon with traditional garnishes, Chilaquiles Verdes, Crispy Duck Hash, Banana French Toast and a steak-and-egg station. $34 adults; $16 kids under 12; excludes tax and gratuity. 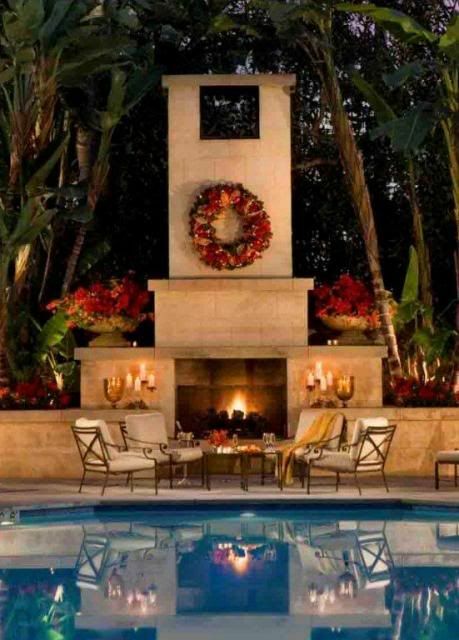 To reserve your holiday table, please call (949) 760-4920. A true delight for visitors to Island Hotel’s lobby, is the charming gingerbread village in the snow that Pastry Chef Michael Owens and his associates build to serve as a whimsical backdrop for the hotel’s Toys for Tots gift collection. Each year the village changes and gets “upgrades.” Constructed by the talented team of gingerbread builders, this year’s version features 30 different houses of varying sizes and shapes, created over a two month period from hundreds of pounds of white and dark chocolate, red and green cocoa butter, fondant, and sugar – yummily decorated with gum drops, jelly beans, gummy candies, red hots, candy canes, licorice, M&M’s and Lifesavers. To reserve a table, please call (949) 760-4920. Christmas Eve, Saturday, Dec. 24 – Enjoy Chef Bill Bracken’s four-course Prix-Fixe Dinner that includes choices such as Roasted Yukon Potato Soup with miniature duck ravioli; Five Spiced Loin of Kurobuta Pork with purple potato puree; and a sweet finale such as Peppermint-Chocolate Pudding Cake with caramel espresso ice cream. Seatings from 6 to 8:30 p.m. Christmas carolers will entertain. Price is $89 adults; $44 kids under 12; excludes tax and gratuity. Reservations are required for Dec. 31 dinner and party. Please call (949) 760-4920. Five-Course New Year’s Eve Dinner at Palm Terrace Restaurant – Enjoy Chef Bill Bracken’s lavish celebration that will feature a Chilled Seafood Tower, Roasted Breast of Pheasant, Red Wine Braised Veal “Osso Bucco Style” and Sous Vide Lobster. Strawberry Champagne Granite or Chocolate Obsession will be the sweet finale to 2011. Seatings start at 7 p.m. Price is $125 per person, excluding beverage, tax and gratuity. Party, Party, Party at Palm Terrace Lounge – Ring in 2012 with live entertainment and dancing, party favors and Chef Bracken’s signature bar bites – including sushi, sashimi, Truffle Mac & Cheese with Crispy Sweetbreads, Peking Duck Moo Shoos, Lobster Taquitos and Grilled Lamb Chop – plus a Champagne toast at midnight. From 9 p.m. to 1 a.m. Price is $110 per person, excluding tax and gratuity. Sunday, Jan. 1, 2012 – 7 a.m. to 2 p.m. Enjoy a leisurely breakfast at Palm Terrace Restaurant to start the New Year. The regular breakfast menu will be offered, with favorites such as Banana Stuffed Brioche French Toast, Poached Eggs on Dungeness Crab Cakes with Truffle Hollandaise, and “Steak-n-Eggs” (beef tenderloin, poached eggs, béarnaise and garlic herb fries). For reservations, please call (949) 760-4920. 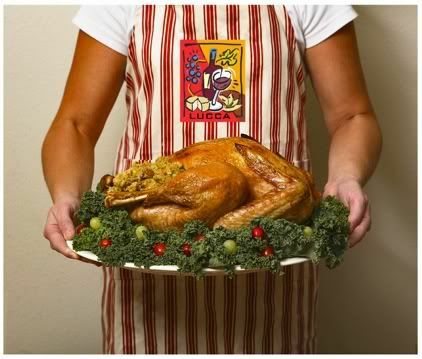 THANKSGIVING DINNER, SIMPLIFIED: LET LUCCA ROAST WHILE YOU HOST! IRVINE, Calif., November 2011 – This Thanksgiving, diners will be able to start their own traditions with a little assistance from LUCCA, who is offering to handle everything from shopping for groceries and scrubbing roasting pans, to worrying about whether the turkey is cooked to the right temperature and picking out wines! The best part of the deal? You can choose from either a “traditional” or “gourmet” dinner menu, and both feature Free-Range Turkeys cooked to perfection in combi ovens! With LUCCA’s Thanksgiving takeout dinner, guests may entertain 2 or 200 guests with ease and offer a special mouth-watering menu guaranteed to delight any budget and palate. Both “traditional” and “gourmet” takeout dinners are capable of feeding up to 10 guests, and include a lavish spread featuring a Free-Range Turkey, stuffed and roasted to perfection, for $325 (add $32.50 per person for each additional guest). In addition, a complete meal for individual diners may be purchased for $32.50 each. All meals must be ordered by Friday, November 18th for pick up on or before Thursday, November 24th at noon. Orders may be placed by calling (949) 725-1773. LUCCA also offers both Traditional and Gourmet dinner items a la carte. For more information or to place orders, guests may call (949) 725-1773. LUCCA is located in the Quail Hill Village Center (6507 Quail Hill Parkway) in Irvine. For more information, make reservations or order LUCCA2Go, please call (949) 725-1773 or visit www.LUCCACafe.com. THE WINERY RESTAURANT & WINE BAR PRESENTS ITS INAUGURAL TRUFFLE WEEK! Tustin, CA (November 2011) – The Winery Restaurant will allow guests to indulge in one of the world’s most treasured foods during its inaugural TRUFFLE WEEK celebration November 17th through 23rd. 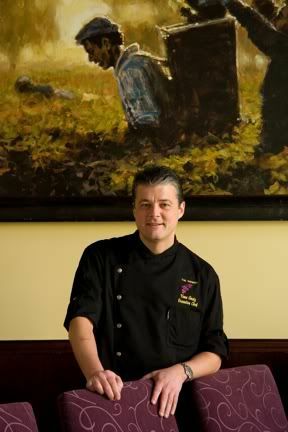 Executive Chef/Partner Yvon Goetz will offer a special three-course menu of dishes featuring truffles, including a decadent dessert ($80 per guest, excluding tax and gratuity). Prior to the weeklong celebration, on Wednesday, November 16th Chef Goetz will present a five-course TRUFFLE DINNER, accompanied with wine pairings by Managing Partner/Sommelier William Lewis. The price of this extravagant wine dinner is $200 per guest (excluding tax and gratuity), and is extremely limited in seating. Guests are encouraged to reserve early by calling 714-258-7600 to avoid disappointment. Space is limited for the November 16th Truffle Dinner; reservations required by calling 714-258-7600. The Winery Restaurant & Wine Bar pairs contemporary California regional cuisine, with a hip, vibrant, sophisticated setting, to create a cutting-edge dining experience. On the heels of being named “Restaurant of the Year” by the Orange County Concierge Association in its first two years in business, The Winery was recently awarded with OpenTable’s Notable Wine List designation, and presented with Sommelier of the Year, 2011 Golden Sceptre Award, and 2011 Golden Bacchus Wine Award for its exceptional wine program from the Southern California Writers Association. Partners JC Clow, William Lewis and Patrick “Irish” Quinn, spent more than 12 years together at Morton’s South Coast Plaza, before embarking on their own journey to open The Winery. The restaurant has migrated from their steakhouse past, as the menu focuses on contemporary California regional cuisine at its finest, with Executive Chef & Partner, Yvon Goetz, directing a team that delivers a culinary experience straight from the Wine Country. The restaurant’s wine list, which currently offers 650 selections, changes weekly, offering diners a wide range of varietals from around the world. Guests can look into and even tour the restaurant’s 800-square-foot, climate-controlled cellar, which can hold up to 6,500 bottles! The Winery offers a warm and passionate menu complimented by the perfect wines -- endless possibilities and something to suit every palate. The Winery Restaurant & Wine Bar is located at The District in Tustin (2647 Park Avenue, Tustin, California 92782). For more information, call 714.258.7600 or visit www.TheWineryRestaurant.net. Fashion Island Bakery & Café Le Pain Quotidien Offers Fresh Holiday Pies | Thanksgiving Day Pickup Available! Newport Beach, CA (November 2011) – Belgian bakery and café Le Pain Quotidien at Fashion Island, will offer new entertaining and gift options for the holidays, including fresh pies that can be pre-ordered for Thanksgiving. 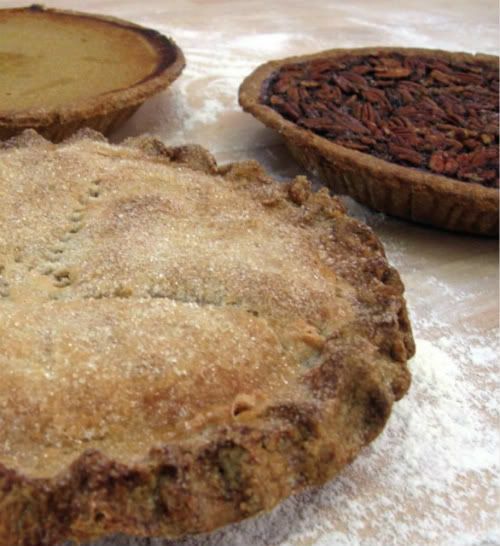 Through November 27th, guests may place orders for Le Pain Quotidien’s fresh-baked Pumpkin, Apple, and Pecan pies. All orders placed at the bakery counter by 7 p.m. can be picked up the following day, including Thanksgiving Day until 3 p.m. (after which time the restaurant will be closed until the following morning). Hours of operation for Thanksgiving weekend are as follows: Thursday, November 24 (Thanksgiving Day) from 8 a.m. to 3 p.m.; Friday, November 25 (Black Friday) from 8 a.m. – 9 p.m.; and Saturday, November 26th from 8 a.m. to 9 p.m. Normal hours of operation are 8 a.m. to 8 p.m. daily. Le Pain Quotidien is located within Fashion Island’s Pacific Court (401 Newport Center Drive #1103, Newport Beach). For more information, including menus, catering information and baking classes, call 949-287-5592 or visit www.lepainquotidien.us (www.facebook.com/lepainquotidien.usa or www.twitter.com/lepainquotidien). Guests are invited to learn the secrets to Le Pain Quotidien’s organic breads during hands-on classes on the Basics of Bread Baking. The classes, which are offered at 5:30 p.m. every Tuesday and Saturday at the restaurant’s in-house bakery, have been a popular holiday gift. Price per student is $55 for an intensive, hands-on three-hour class led by Head Baker Jonathan Eng, who instructs students on the basics of dough and how it can be made into many delicious products, including baguettes, soft, buttery rolls, and fruit and nut loaves. All classes are limited to 6 students, and can be booked online at http://conta.cc/labbcal. Basics of Bread Baking covers the ten steps in the process of making bread, and students have the opportunity to participate in each one, from selecting ingredients, to kneading a dough by hand, to shaping, scoring and baking (and, of course, tasting). Each class is conducted under the watchful eye of Baker Jonathan Eng, a graduate of the French Culinary Institute in New York, where he gained a strong foundation on the history and baking of artisanal bread. Since joining Le Pain Quotidien in 2010, he has been developing a curriculum at the Bleecker Street Bakery in New York City. The Fashion Island location is only one of two Le Pain Quotidien locations worldwide to feature an on-site bakery with baking classes open to the public. The bakery, which is in full view of diners, serves as an educational hub highlighting Le Pain Quotidien’s organic bread, which is still kneaded and shaped by hand then baked in a hearth under the watchful eye of artisan bakers. Wheat, rye, spelt, five-grain walnut, baguettes, French rolls, brioche, croissants, muffins and other pastries, will all be baked fresh daily. Friday sees the addition of freshly baked challah. Le Pain Quotidien offers a distinctive and delicious twist on the traditional cocktail party, with a warm and inviting in-house baker available for private events. Interactive group baking experiences led by seasoned baker Jonathan Eng, along with wine, beer, and a casual menu for sharing around the communal table. Group events for 8 to 25 guests can be customized for an evening of learning, sharing, and conviviality. To book a group event or for more information, guests may email events@lepainquotidien.com. Le Pain Quotidien is located within Fashion Island’s Pacific Court (401 Newport Center Drive #1103, Newport Beach). For more information, including menus, catering information and baking classes, call 949-287-5592 or visit www.lepainquotidien.us. Le Pain Quotidien serves simple, elegant boulangerie fare, made with organic ingredients whenever possible. Le Pain Quotidien -- pronounced luh paN koh-ti-dyaN, meaning “the daily bread” -- was founded in Brussels in 1990 by Chef Alain Coumont, whose concept of simplicity and timelessness now has an international presence with more than 150 locations worldwide. In light of its extraordinary expansion, the company makes a continuous effort to stay true to its roots and values of conviviality, authenticity, quality, and simplicity. On a local level, each eatery sources organic ingredients and implements sustainable practices. Le Pain Quotidien’s menu accommodates vegetarian and vegan lifestyles, and will offer breakfast, lunch and dinner for in-restaurant dining or take-out service. A wide selection of soups, salads, tartines (open-faced sandwiches, a house specialty) all incorporate signature breads. The tartine is one of Le Pain Quotidien’s most popular offerings with more than a dozen varieties, including Paris Ham and Aged Gruyère with cornichons and mustard trio; Organic Black Bean Hummus with avocado and spicy tahini; Smoked Atlantic Salmon with avocado and chopped dill; and Chicken Curry Salad with a side of harissa-cranberry chutney. Le Pain Quotidien will also present seasonal offerings on a menu that changes approximately five times a year. The artisan bakers will also create new bread and pastries to retail only in the Fashion Island locale. Fall specials will include a Broccoli, Ham and Swiss Frittata; Vegan Cherry Scone; Gazpacho; Roasted Turkey, Brie and Honey Mustard Tartine; Endive, Fourme d'Ambert and Pear Salad; French Lentil, Chickpea and Avocado Salad; Mixed Grape and Walnut Tart; and Sparkling Hibiscus Tea. Located at Fashion Island, Orange County’s premier coastal shopping and dining experience, Le Pain Quotidien features a communal table, a trademark piece for the brand, inside a 169-seat restaurant boasting an expansive 400-square-footpatio with stunning ocean views unique to its Newport Beach location. In addition to its signature communal dining table, Le Pain Quotidien features high ceilings, rustic brick walls, expansive windows and classical music for a warm atmosphere, ideal for relaxation and conversation. Wood-crafted tables, chairs, counters and displays give the café a timeless feel. Le Pain Quotidien uses reclaimed wood and recycled Gypsum in its construction with energy-efficient lamps, and environmentally friendly cleaning supplies and packaging. The bakery-café offers an exclusive line of specialty retail products, including single estate Peruvian coffee beans, Belgian chocolates, jams and fruit preserves, artisanal olive oil from Tunisia, Italian honey, sea salt and black pepper, and balsamic vinegar. Hours of operation are 8 a.m. to 9 p.m. daily. Le Pain Quotidien is located within Fashion Island’s Pacific Court (401 Newport Center Drive #1103, Newport Beach). For more information, including menus, catering information and baking classes, call 949-287-5592 or visit www.lepainquotidien.us (www.facebook.com/lepainquotidien.usa or www.twitter.com/lepainquotidien). SOL COCINA: Mondays in November = Half-Off Wine by the Bottle! 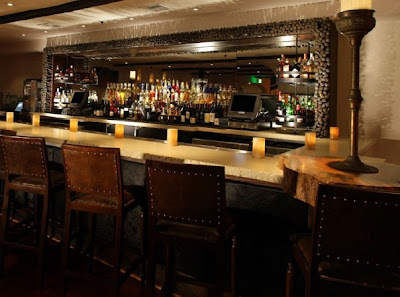 NEWPORT BEACH, October 2011 – Celebrate the fall harvest at SOL Mexican Cocina, where November has been dubbed wine month! Every Monday night from 4:30 p.m. to close during the month of November, guests will have the opportunity to enjoy ½ off select bottles of wine with any food purchase. The promotion is intended to highlight the thoughtful wine list at SOL, which is known for having one of the most extensive selections of tequila in the region. For more information, menus, hours of operations, online reservations and directions, visit http://www.solcocina.com/. In an effort to preserve the timeless beauty of Southern California and Baja, whenever possible, SOL Mexican Cocina utilizes products and programs that we believe to be both environmentally and socially pro-active. By serving as much seafood as possible caught locally or from sustainable fisheries, as certified by MSC and Seafood Watch, SOL resolves to be as environmentally friendly as possible, making sure that everything that can be recycled, is recycled, and all takeout materials are compostable. SOL is a bleach-free facility that uses green ware-washing and cleansing products. Diners looking for sustainable options, may be interested in the sustainable seafood (according to Seafood Watch) used by Chef Deb in SOL dishes. Located at 251 E. Pacific Coast Highway at Bayside Drive, on the Balboa Marina, SOL is open daily for Lunch (11:30 a.m. – 4:30 p.m.; TOUR de SOL tasting menu offered Mon-Fri 11:30 a.m. – 3 p.m.), Dinner (Sun-Wed 4:30 p.m. – 10 p.m.; Thurs-Sat 4:30 p.m. – 11 p.m.), Happy Hour (4 p.m. – 7 p.m. daily in the bar and patio), and Weekend Brunch (10 a.m. – 3 p.m. Saturday & Sunday). In addition, guests may take advantage of Taco & Tequila Tuesday specials every week (Tues 4 p.m. – 10 p.m.), and Industry Hours with 50% off cocktails, beer and wine to those with proper ID working in the hospitality industry (Sun-Weds 9 p.m.-midnight; Thurs-Sat 11 p.m.-close). Private Room available.